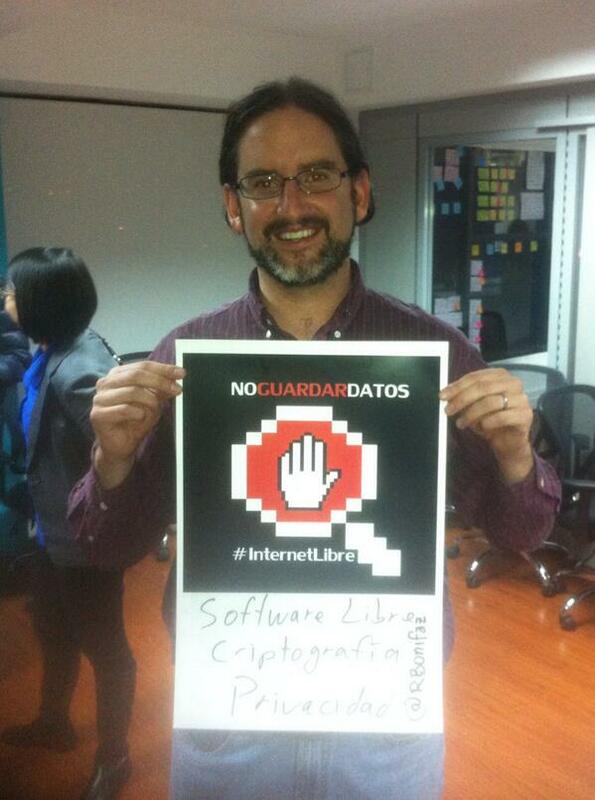 On November 5th in our Quito offices, more than forty people – amongst them members of Asociación de Software Libre de Ecuador (ASLE), the Asociación Ecuatoriana de Software (AESOFT), professors from several universities, the entrepreneurship community ECStartups, representatives of MachángaraSoft, lawyers, members of Thoughtworks Ecuador as well as regular citizens – met to discuss the potential consequences of an article included in the new Ecuadorian Código Integral Penal, approved by the National Assembly on October 13th, and that will be presented to the President of the Republic, Rafael Correa Delgado. 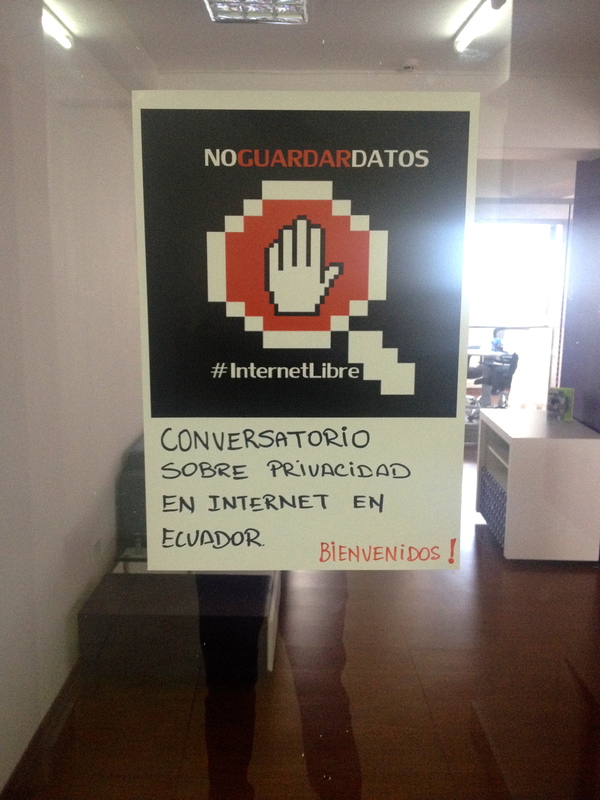 This new legislation will have a negative impact on the Privacy Rights of every Ecuadorian and, in general, every IT user in our country. 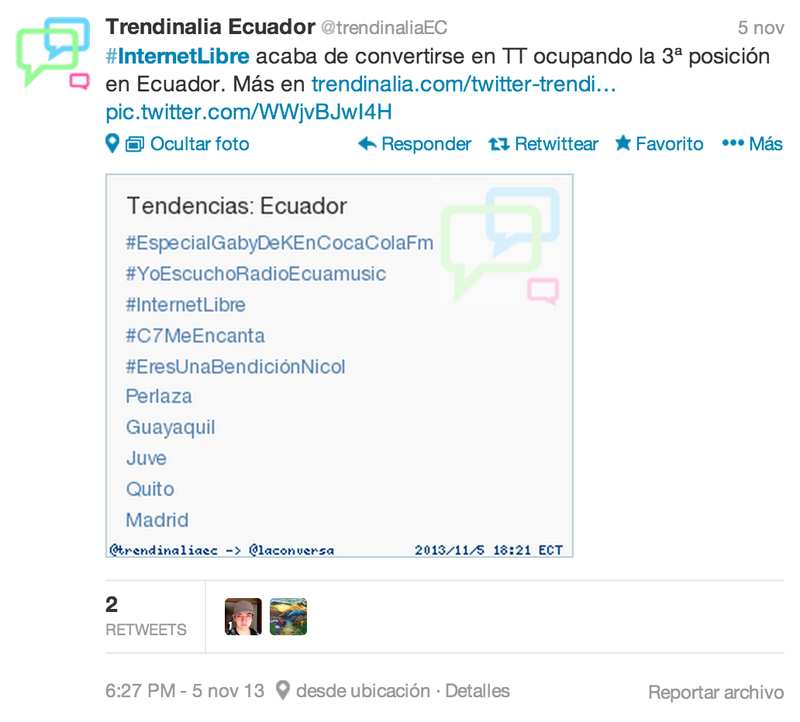 The event was promoted on Twitter using the hashtag #InternetLibre and it was broadcasted live using a Google Hangout, rising to become trend topic in Ecuador through Twitter. 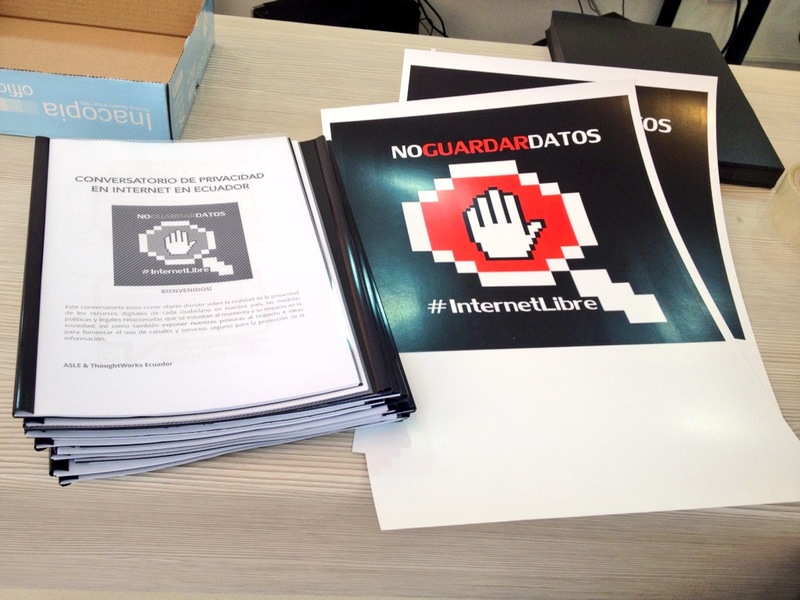 Article 474 of the new law will force ISP and distributors like cybercafes, or Wi-Fi hotspots, to record and store data from their users. Data that’s mentioned in the law are telephone numbers, IP addresses, the ‘connection traffic’, ‘access to transactions and information of the communication service links and the communication path’. Furthermore, in case of the distributors, they are forced to record a video of whoever is using the Internet connection in the cybercafe or Wi-Fi hotspot, and to store that visual registry for at least six months. Article 474 represents a violation of the information privacy of every citizen defined in the Constitution. Increase of the Internet costs. The legislation will increase the Internet costs, affecting users and reputation of the country. 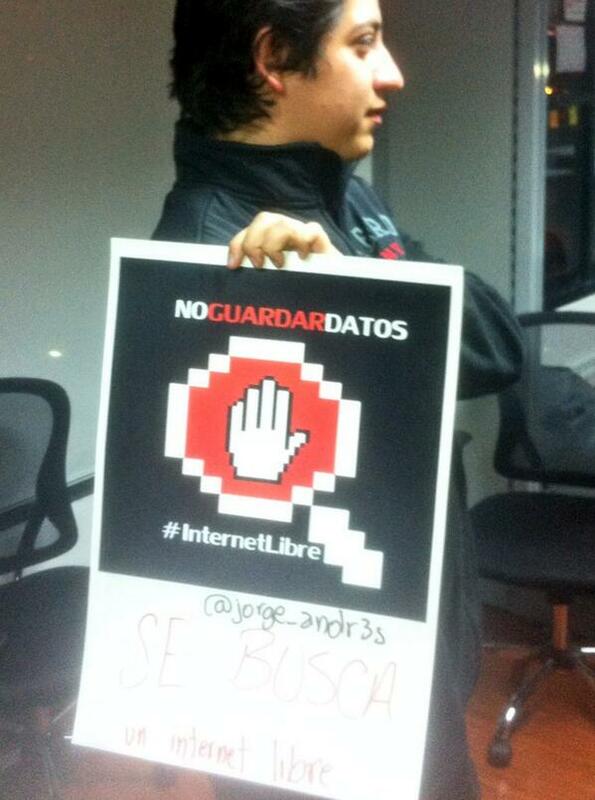 Extinction of free hotspots and other Internet access points for not fulfilling the requirements or operation costs. Direct impact in the businesses. In order to avoid having to store more data, some mobile ISPs, could limit even more the surfing GBs allowed for each client. 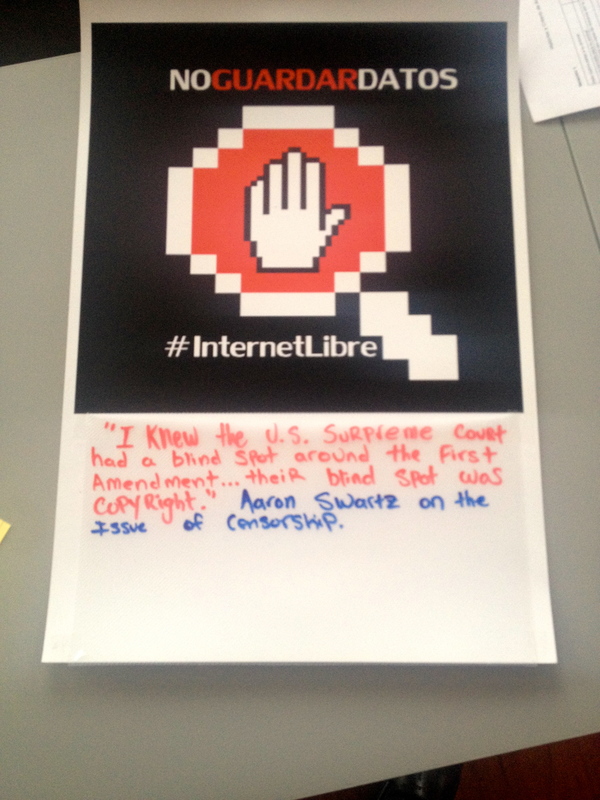 More resistance from Internet users towards online transactions. Limiting development, innovation and entrepreneurship in the country. 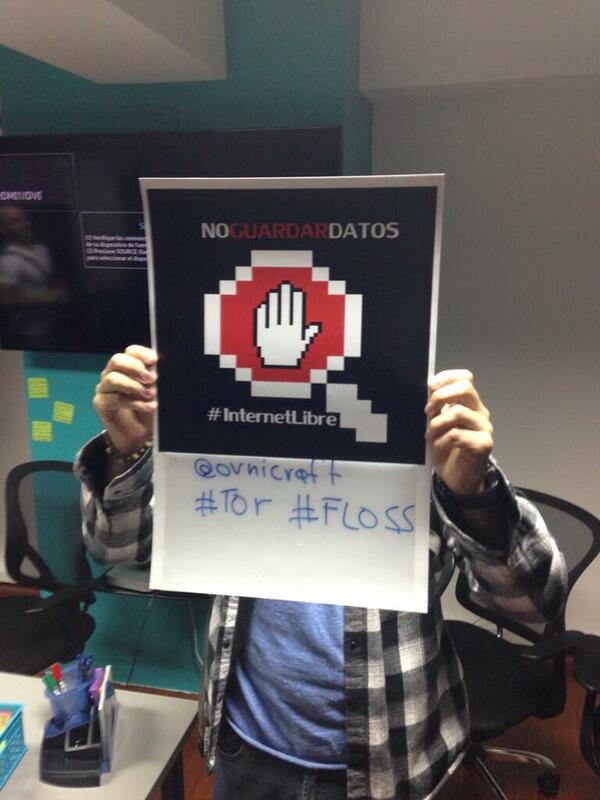 Blocks the government plans and the technological agenda. Impact on the productive matrix. As a goal of the meeting, a letter for the President is being written, requesting his veto – total or partial – to the article of the code arguing from a legal perspective about the impact in the life of the Ecuadorians as well as the reputation of the country. This letter will be published in a press release, where media and other organizations will be invited. Additionally, we are working on a campaign to spread the word to the Ecuadorian citizens and the possible consequences. 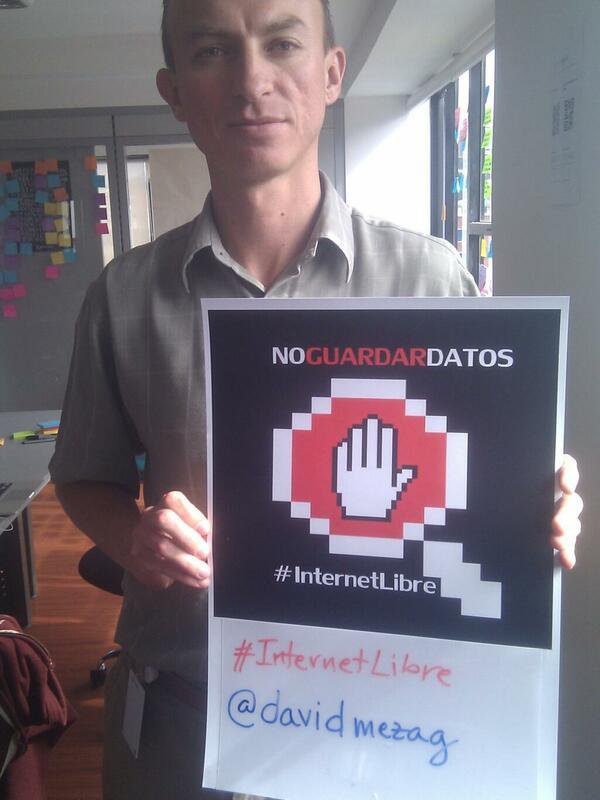 We are proposing to create an identity through the slogan #InternetLibre and spread it out through social media. We also propose to create a website where interested citizens can find information and join the initiative. We are defining a manifesto as the base of the ideology. 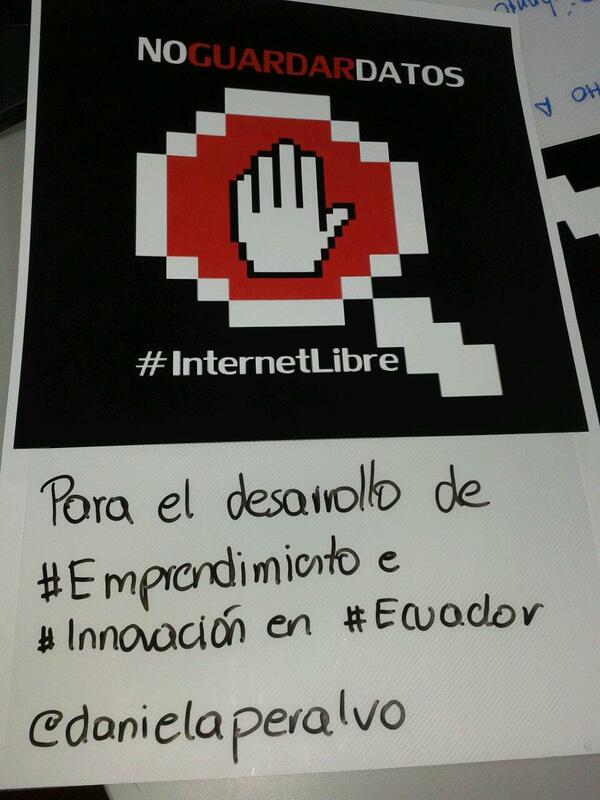 Several people are writing articles to generate awareness; like Bethany Horne: “Nueva ley en Ecuador limitaría el acceso al internet en el país”. 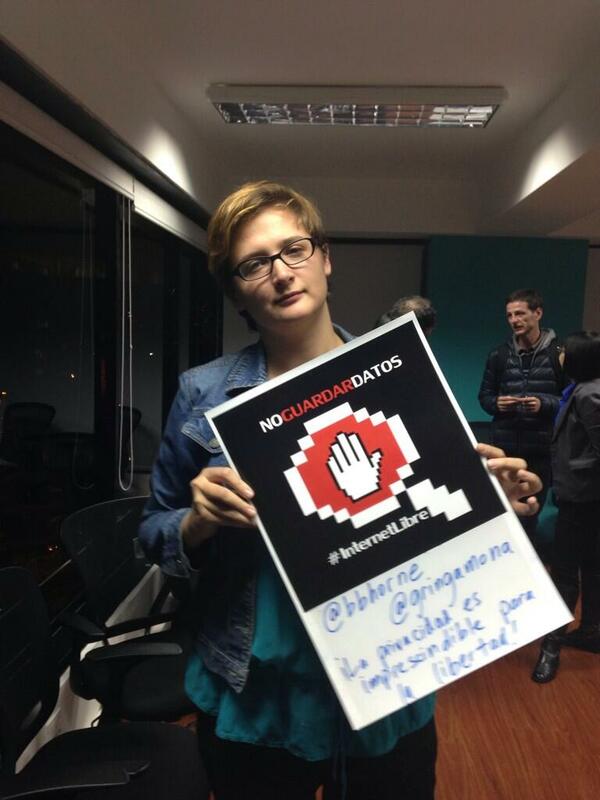 This event as well as other initiatives of several Ecuadorian activists, represent a breaking point that’s critical to move forward towards a digital surveillance free society, where human beings can express without fear and protecting our right to privacy. As a country, to push forward the technological development and progress. Instead of watching citizens, the state should protect them.